A powerful practice that promotes team morale, trust, and respect, and improves productivity, team building is essential for any business that wants to build stronger connections that contribute to organisational goals. Unfortunately, finding the right team-building venue and activities can be challenging. Whether you think your team just needs to get together and do something fun, you want to celebrate a success, or you want to re-energise your workforce, get your team more engaged and motivated with all the fun team-building activities at Acrobranch. 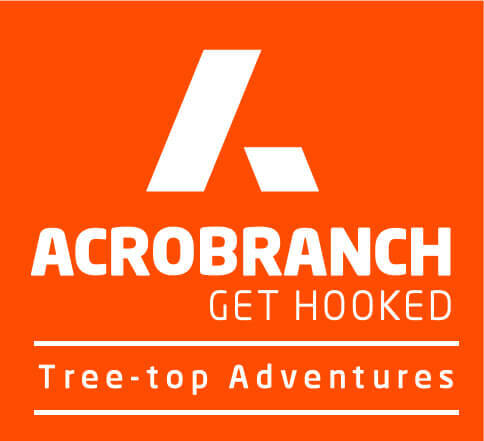 Have you ever heard of Acrobranch Adventure Parks? You have probably come across those large billboards or advertisements that show people with big smiles strapped into harnesses as they get ready to soar along zip lines like birds. A growing trend throughout the globe, ziplining has caught the attention of organisations throughout the nation. An exhilarating, world-class, state-of-the-art ziplining adventure that originated in the jungles of Costa Rica, ziplining is safe, fun, and a great way to challenge employees and build confidence. It is an incredibly popular team-building activity that is led by professional guides and set up with zip line safeguards and safety cables in place. Our ziplining team-building activities are a unique and exhilarating way for employees to have crazy fun while they glide like a bird amongst the treetops. As you fly through the air, strapped safely into your harness, attached to your safeguards and safety cables, and donning your helmet, and gloves, not only will you enjoy spectacular views of the natural beauty of the area, but employees partake in an exhilarating obstacle course that features cargo nets, Tarzan swings, balancing beams, tightropes, zigzagging, lily pads, barrels, and rope bridges. It is truly an incredibly fun and energising team-building experience that will motivate, inspire, and unite. As the fastest growing outdoor adventure to hit the South African team-building scene, zip lining is ideal for sports teams, team-building groups, year-end functions, and even conferences. We have gained tremendous experience in organising team-building events for both small and large groups., and we offer team-building packages that include a dedicated host who will capture your event on camera, as well as welcome drinks, and catering. If you book before 30 November, we will give you 20% off your year-end team-building package. To make your booking or to find out more about our fun team-building activities, contact the team at Acrobranch today.